In a perfect world coyotes, fox, and bobcats would hunt during midday hours and sleep at night. They would trot in to your calls and stop broadside at 50 yards under a gleaming sun, a target any shooter could hit. However, we are stuck with these sly, sneaky animals that like to show themselves in the dying light of the evening or the first few moments of the morning. For some of us, the best time involves only light provided by the moon and spot lights. Now throw in a coyote that blends in with its surroundings in low light and it becomes the ghost of the woods they so strive to be. Try to find that ghost in a low quality scope? Forget it. 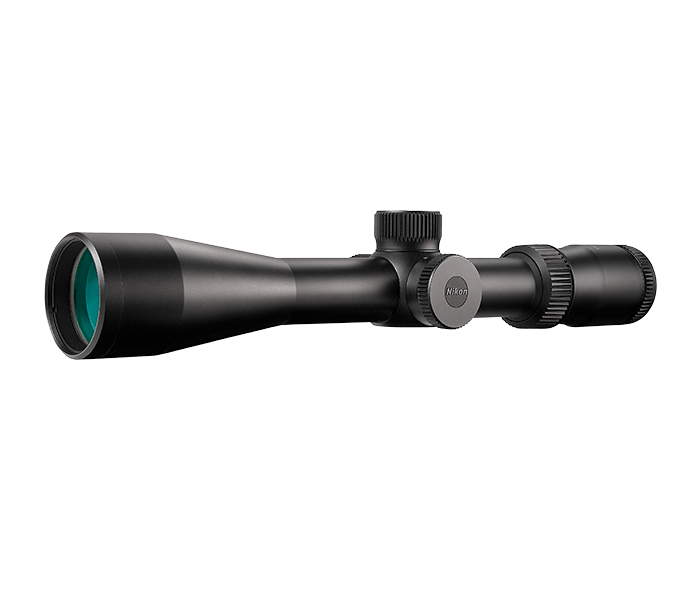 We get a lot of questions regarding what scope to buy or what our favorite scopes are. To give a one scope answer is impossible, everyones hunting conditions are different. 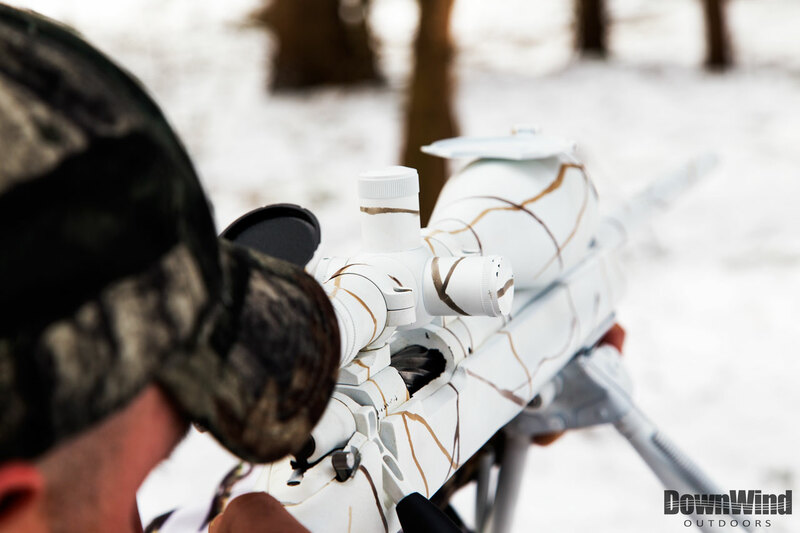 There are many factors to consider when wrenching down a scope on your favorite predator gun, everything from the temperament of your predators, terrain, abuse, caliber, and average shooting distance just to name a few. So if you came to this article looking for the one and only brand and model to use then you will be disappointed. What this article is focusing on is giving you aspects to think about before making your final scope purchase. First, the most important thing to remember is that you are mounting your new scope to a “predator rifle”. 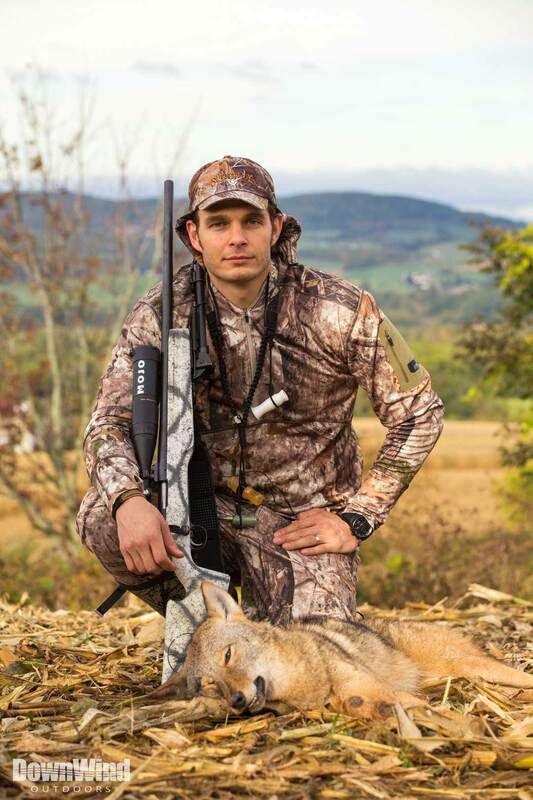 The term “predator rifle” describes a high velocity, flat shooting caliber gun. Our caliber of choice is the 22-250 Remington. For more discussion on this topic check out our article called “.22-250 vs .223”. This article is assuming you have a dedicated predator gun that fires a small bore caliber. If you are trying to jerry-rig your old 300 Winchester then unfortunately, this article isn’t for you. Magnification is probably the most disputable topic when it comes to a scope no matter what game you are going after. Once again there is no steadfast answer for this. The only answer is to have a magnification that best fits your style and circumstances. Maybe you are in the deep woods of Maine and your farthest shot is no more than 150 yards, a 1.5-5x may be all that you need. Or you are on the plains of Wyoming and need something to reach out to a sitting coyote at 450 yards and want a scope with at least a 20 power zoom. It all comes down to the aforementioned style and circumstance. In New York, our average shot is right around 100 yards. 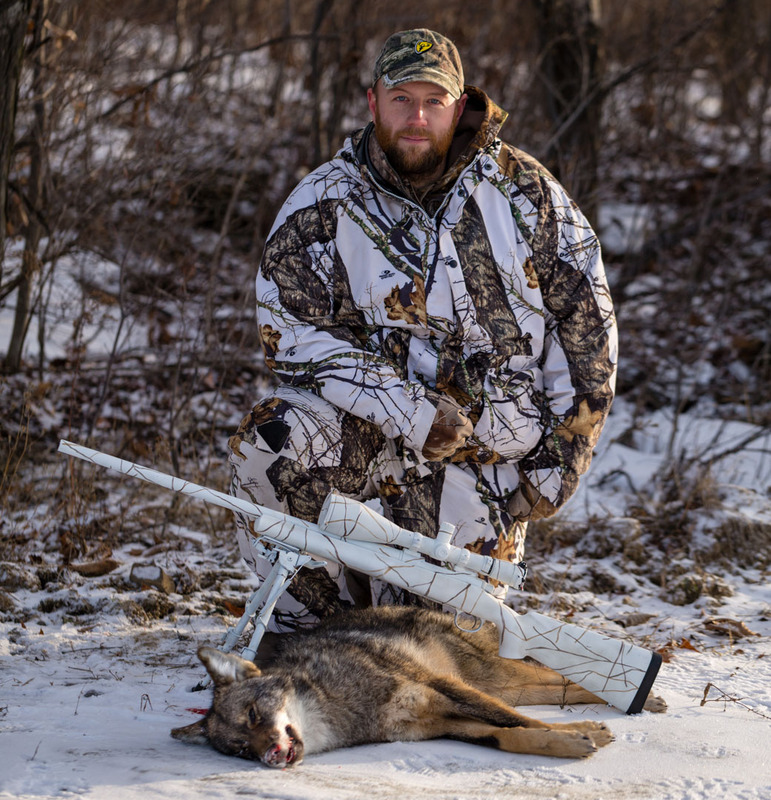 With the way our coyotes act, we have never felt that we have been overpowered on the magnification range of any of our scopes. Well, I take that back. There had been at least ONE occasion in Colorado where magnification got me in some trouble; watch “Mile High Mouser“. 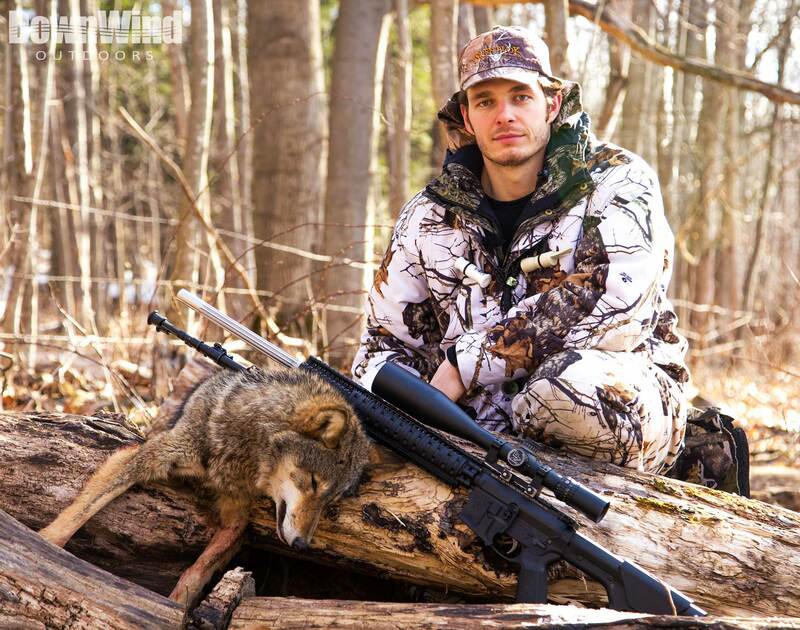 However, our weary New York coyotes seem to figure us out before they get in that safe shotgun range. Now I must admit, being a guy who likes big and powerful artillery, I like the magnification range of around 5-20x. However, I can count on one hand how many times that magnification ring has been cranked to 20 power. It is nice to know I have that kind of range, making my setup more versatile. 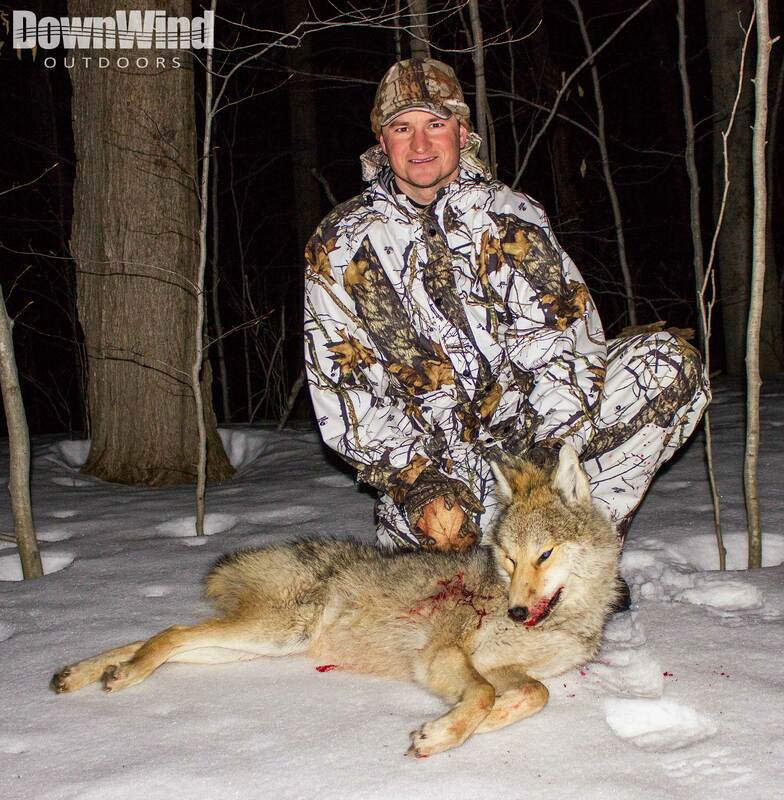 In short, think about your terrain, how your coyotes act and your average shot distance. As cool as the big high powered scopes are, they may not be the right fit for your hunting scenarios. One of the most important parts of a predator scope is the size of the objective lens. Generally, the larger the “bell”, the forward facing lens, the better the low light ability. You can determine the size of a scopes objective by the last number in the scopes description. For example, a scope with the designation of 5.5-22x56mm has a 56mm objective or bell. This is where bigger is better. There is a formula that determines the size of the beam of light transmitted to the eyepiece, but it is not necessary. Simply get the biggest objective you can afford. A small objective, 33 millimeters, just doesn’t have the ability to gather enough light to illuminate the view when that coyote comes out at last light. 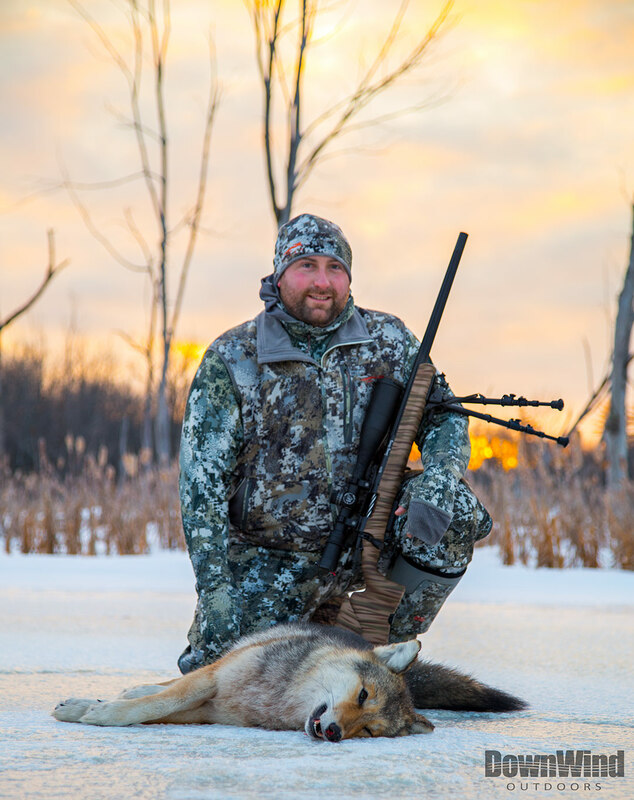 A 44mm objective is better, but as predator hunters, our success usually happens at dawn, dusk, or during the dark of the night…so go big or stay home. We highly recommend an objective that is at least 50mm. However, a larger objective does come with something to consider, your sight picture. Due to the larger bell, the scope will need taller scope rings to prevent contact with the barrel. Raising the scope higher from the action can cause you to lift your head to get a clear view through the eyepiece, thus affecting accuracy. The best shooting position is having tight cheek contact with the stock. There are many aftermarket cheek pads and also stocks with built in adjustable cheek pieces such as H-S Precision, Bell and Carlson, or McMillan to name a few to gain the correct shooting feel. 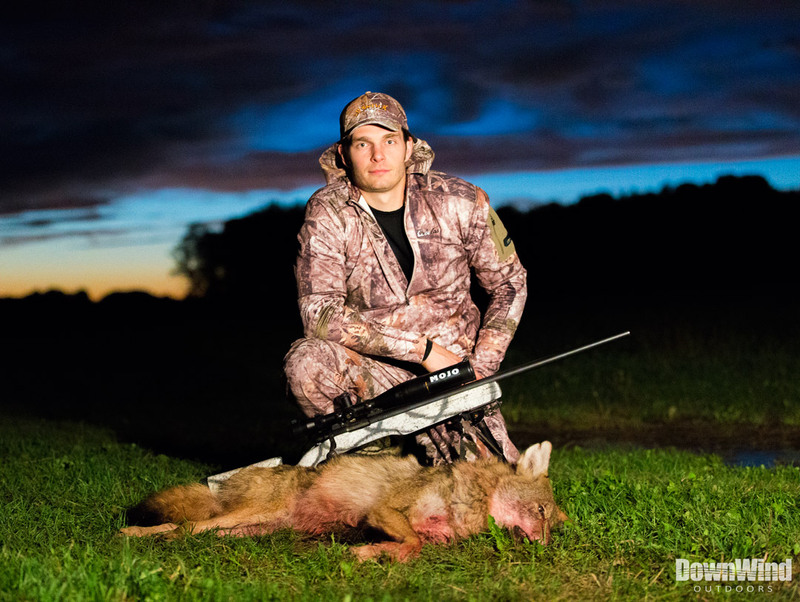 The Leupold VX-3L 6.5-20x56mm is a monster light gathering coyote killer. Over the last several years the scope industry has been pushing all these fancy reticles upon us. Lines, dots, circles, numbers and whatever else they can think of that might look cool in a scope. I fell for it when Leupold first came out with their Varmint Hunter Reticle. But after years of use in the field, I regret the purchase. It is my opinion that probably over 90% of hunters have no idea what their ballistics are for their round. Instead of learning their gun they look in a manual and match up their bullet weight and think now they will be dumping dogs out at 500 yards by simply centering their 500 yard hashmark. Don’t get me wrong, these reticles have their place with other game and shooting sports but it is my opinion that there is no place for them in the predator realm. First, learn your gun and the bullet you shoot from it. Know what it does at 100, 200, 300 and 400 yards. If you memorize your drop at those ranges then you should be all set to dump any coyote with a simple crosshair reticle. The thing to remember is that we are shooting high velocity rounds that drop very little out to 400 yards. For example, one of my 22-250’s shoot a 55gr round that drops 14” out at 400 yards. 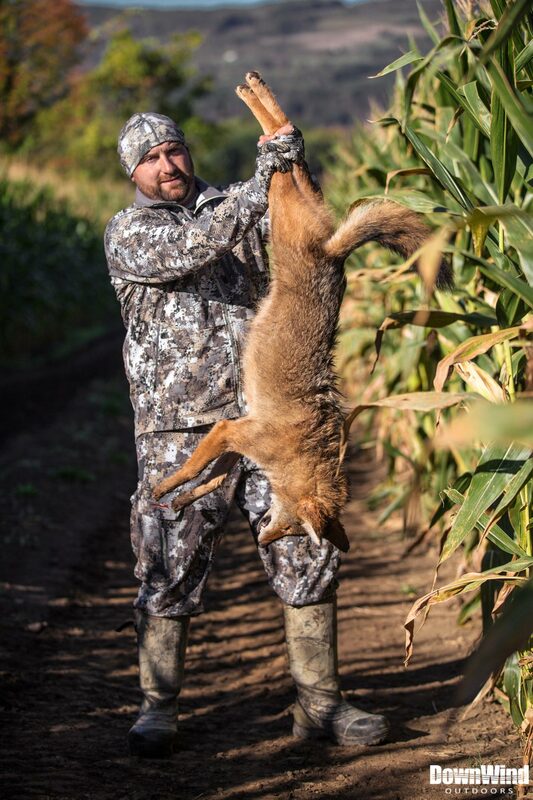 Knowing that the height of a coyote is around 11” from shoulder to back I would have to aim off the body at about ear level to hit mid chest. Try doing that simple task with a complicated reticle when your heart is pumping and the dog is constantly on the move. You need to look through your mangled mess of reticle lines and try to remember what is what. Of course, this is also assuming your reticle is exactly matched to your round. By the way, it’s probably not. Second, if you have a designated predator gun then chances are you probably have dabbled in night hunting from time to time. If so, consider investing in an illuminated reticle, but we will cover that later. A complicated reticle at night will only do just that, complicate things. Trying to decipher what post is what when everything is pitch black should be the least of your worries. Lastly, they are more expensive. You are better off spending the money on other components such as objective size rather than some fancy reticle especially one you can’t take advantage of. 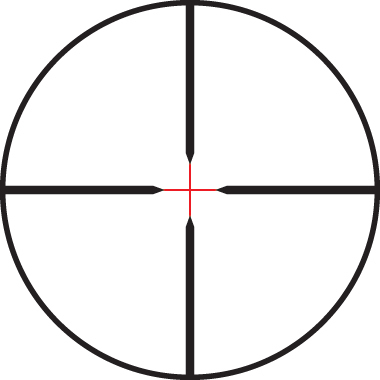 Our recommendation is just a plain old single crosshair reticle, you won’t regret it. An example of a clutter free sight picture that offers illumination for those night hunters. Illuminated reticles are a nice little add-on for your predator dumper. Personally, I don’t night hunt a ton but when I do it is nice to have the ability to flick on that reticle. One piece of advice that I would give it to ensure that the brightness can be adjusted. I have four scopes with illuminated reticles and I have never turned them up past the lowest setting. I have yet to find a place for a really bright reticle as it seems to wash out my target when it is fully adjusted. For this reason, I would be wary of any scope that only has one brightness setting. 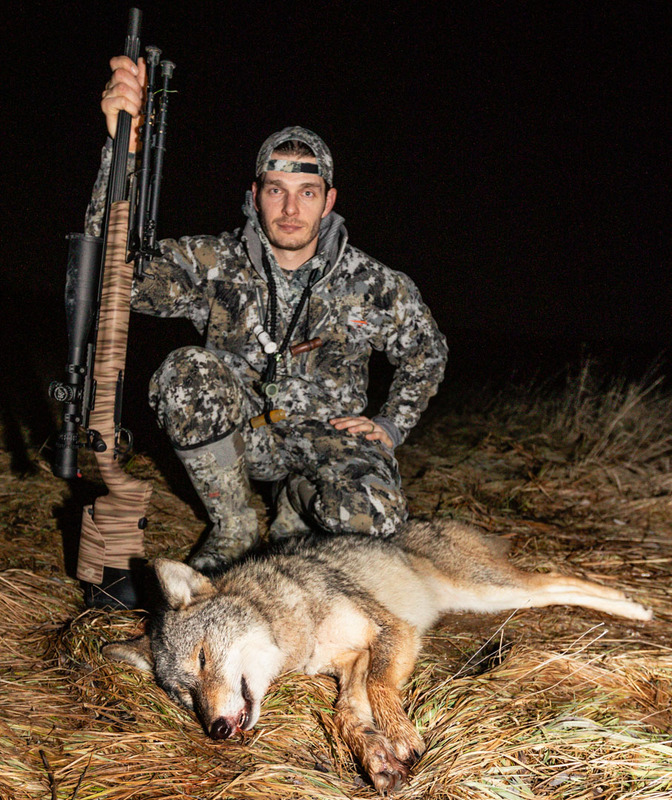 I have been harping on the importance of a scopes ability to gather light, but when it comes down to it, we trust that the coyote gods grant us a scope that will hold zero at every stand. 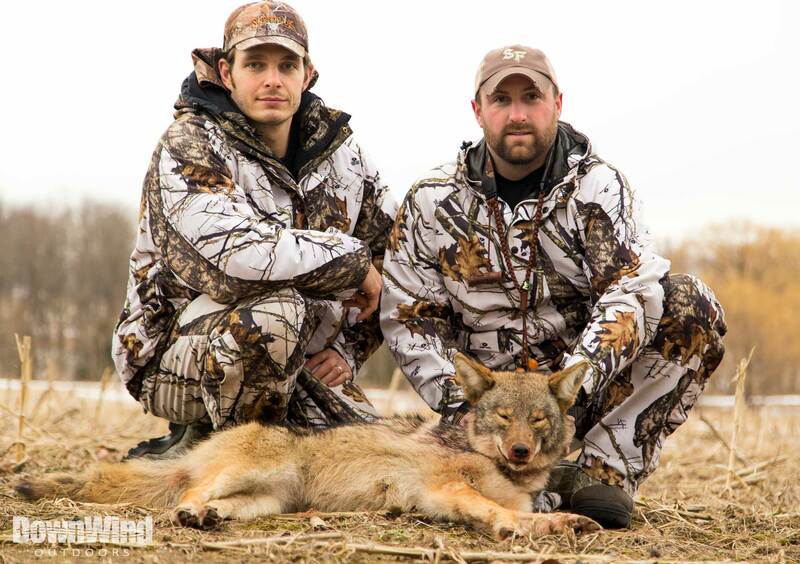 As predator hunters, we do a lot of driving and walking. On a good day we may do five stands which means that our guns are going in and out of a truck a lot. Who knows how many miles we rack up in a season, both driving and walking. Needless to say, that gun is bouncing, falling, slamming, jiggling, and whatever other anti-scope friendly word you can think of. However, we do have one good thing on our side, we aren’t shooting high recoil rifles. Regardless, we need to pick a quality scope known for its durability and shot to shot consistency. We have had several years of experience with the following brands\models, some which have had their cross hairs on hundreds of predators. Forget it. Do you and your gun a favor and save your money for one of the more expensive options. I can guarantee that if you buy a lower end scope, you will be spending way more after you realize this equipment is junk and you will end up buying the scope you should have bought in the first place. That is the hard truth…I have been there. 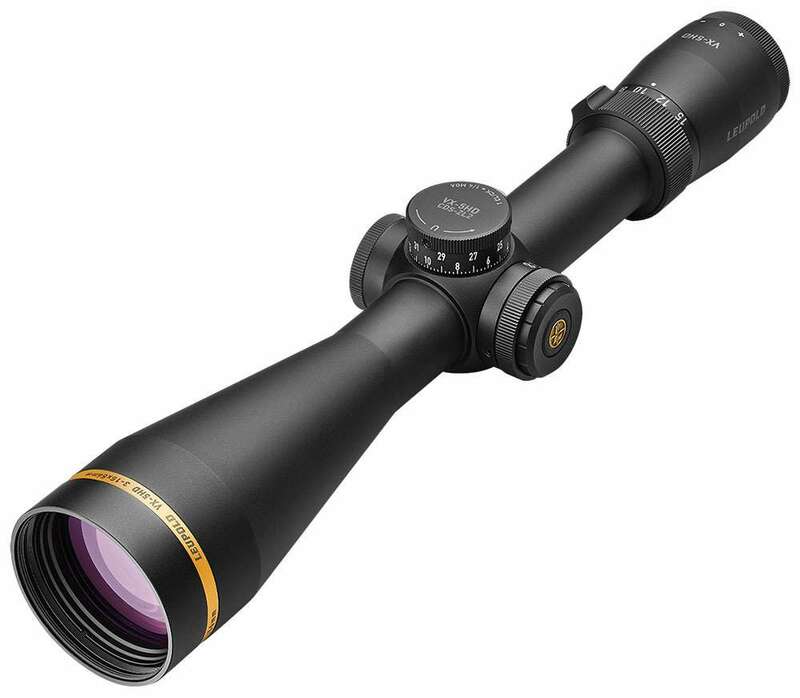 This line of scopes has a great range of options to make a quality predator scope at a good price. Options of objective sizes, reticles, and zoom ranges are all available with thus model. 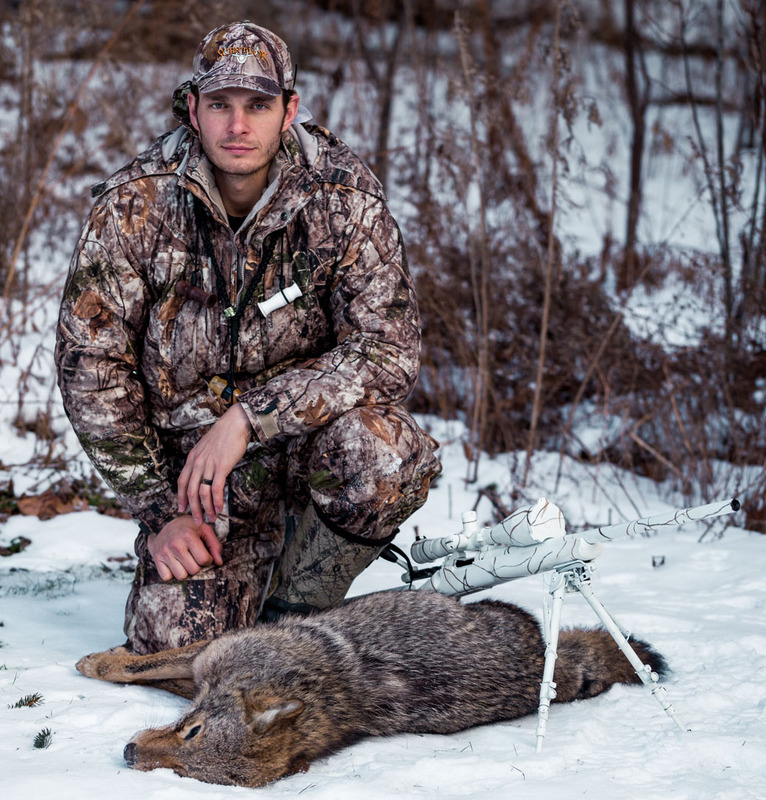 Like the Nikon, Leupold offers everything a predator hunter would need. 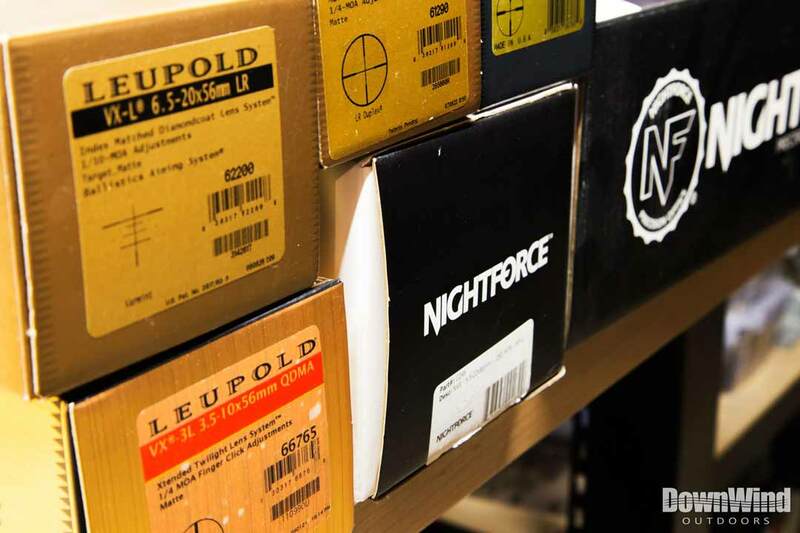 These scopes look as good as they shoot and with the backing of Leupold’s warranty, you won’t go wrong with this line. If you want the epitome of scopes then this is your winner. If Chris Kyle picked it as his go-to scope than you know it must be the best…’merica! The only downfall I have found besides the price is that my wife gets jealous of it. Exceptional quality in all facets of this build. 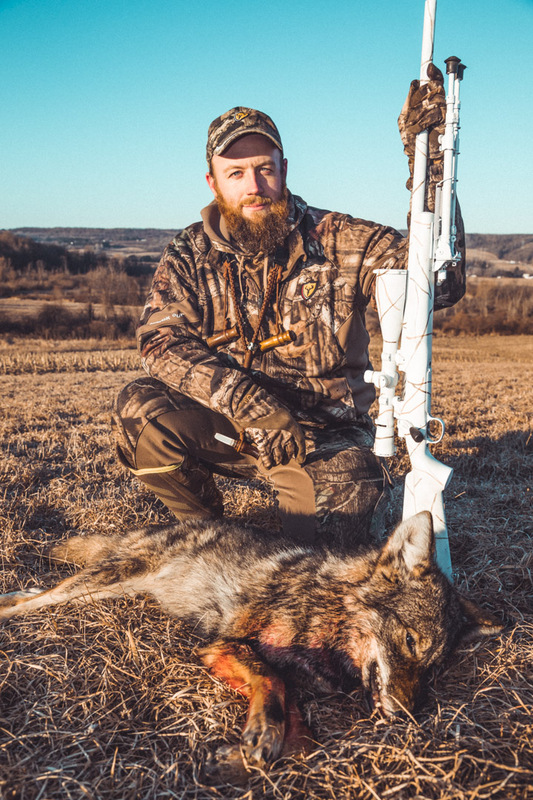 There is no absolute answer for the best coyote hunting scope or rifle scope for your hunting rifle. It comes down to several factors which vary by personal preference and environments. Remember, the rule of thumb is to spend as much money on a scope as you can afford. Your gun is only as good as your glass and in this case, you always get what you pay for. Sorry Joe, we don’t have any experience with Vortex however, people who I know use them love them. 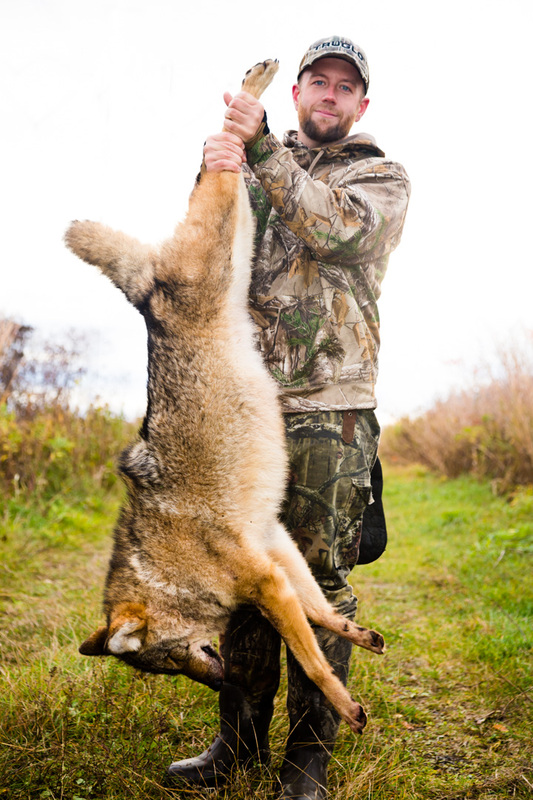 Do you prefer SFP or FFP for coyote hunting if so why or why not? Thank you! All we shoot is Second Focal Plane scopes…we don’t have experience with First Focal Plane scopes. Very Impressive article. everyone should need to know the impotent fact before the buying a rifle scope. You wrote the awesome impotent fact in this article. Thanks, John! Appreciate your support! Some really honest advice here for buying good hunting equipment! 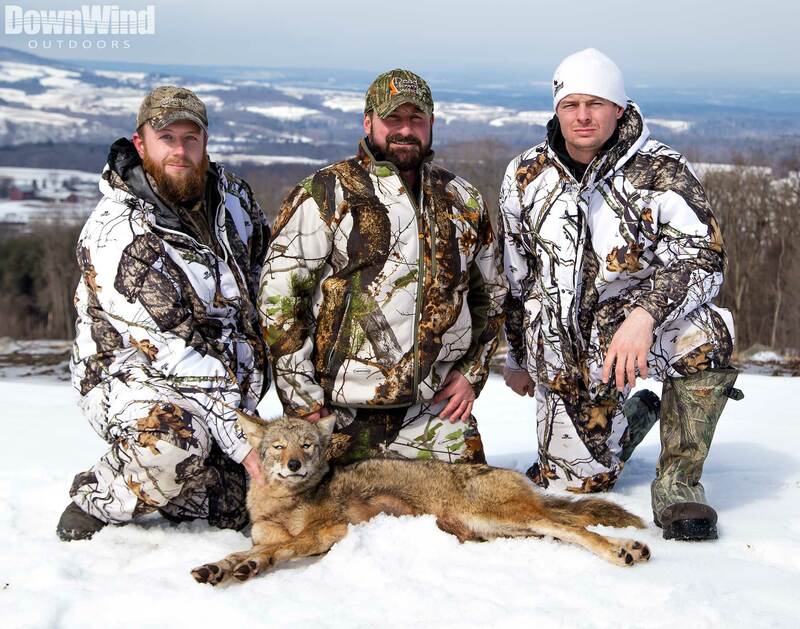 Keep up the great work and would love to see some more of these hunting blog type articles. Thanks! Appreciate the interest and support! 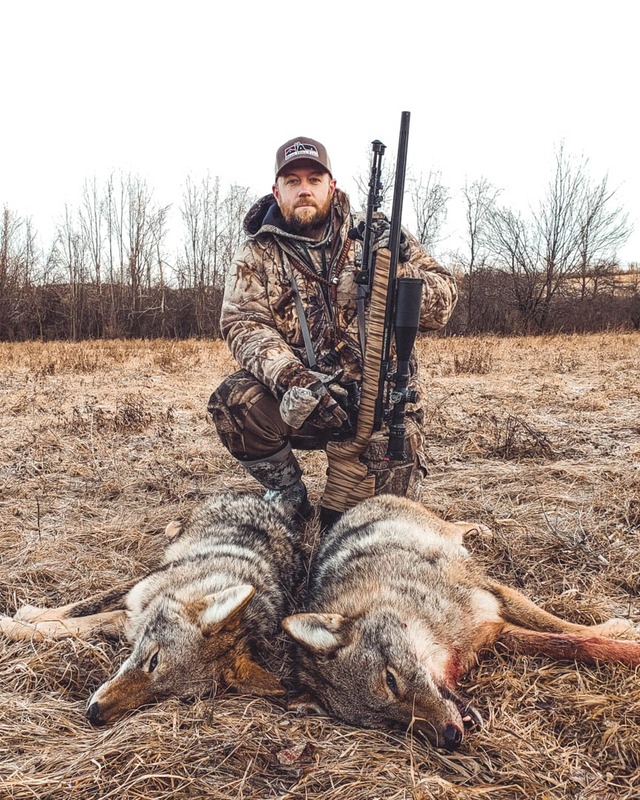 Some avid hunters can say that the modern rifle scopes are not necessary for hunting. They may believe that the main point is always hitting the target and they can do it without buying one. Here is very comprehensive guide about rifle scope. Rifle scope is very need for real hunter because it helps you find the hunting animal very fast.Thanks for sharing. Great point! Thanks for taking the time to read it.